my love for erin & her shop, sunshine & carousels runs deep. i've bragged about her here & here, too. i was so excited when she agreed to give away some sunshine & carousels loot to one of my baller readers! in her shop, erin has bright, colorful, whimsical accessories & jewelry. she has such a great eye for color combinations and i just love her style. today, she's giving away THREE things to one lucky winner! ((and i mean really lucky...)) here's the loot! 1. head on over to sunshine & carousels & leave a comment with your favorite item from the shop. 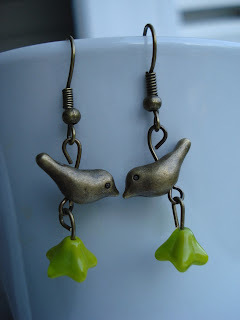 I love the Birdy Earings, the green and silver work sooo well together. But of course, all of her things ROCK!! And now I'm here to say I love the Miss Kristina mustard yellow headband. It's my favorite color! Love all of the necklaces. I can't choose one. The beads with flowers are so cute and the ones with little charms are so whimsical. Love them.Singing in the Rain is super cute. Plus I have a thing for umbrellas. Either the hello fall necklace or the miss charlotte shoe clips. Can't decide! I'm in love, I need those earrings! I really love the Miss Kristina has feathers headband! it's a tie. penny lane floral clutch or the hello fall necklace. both are lovely! Did you see the 'hello fall' necklace?! Or the 'folk' earrings?! Oh my goodness! Definitely the "Hello Fall" necklace. What a great Etsy shop. I really enjoyed looking around. I would get the necklace called "smile" with a camera on it for my daughter. I love the sweet bird earrings you showed in the post! that floral clutch is perfect! loving all of the penelopes, kates, and kristinas! i'm clearly into feathers right now. i really love it all, but I'm pretty smitten right now with the Miss Nikki teal rosette headband! I am so in love with the Hello Fall necklace! Beautiful color combo and that leaf pendant is awesome! 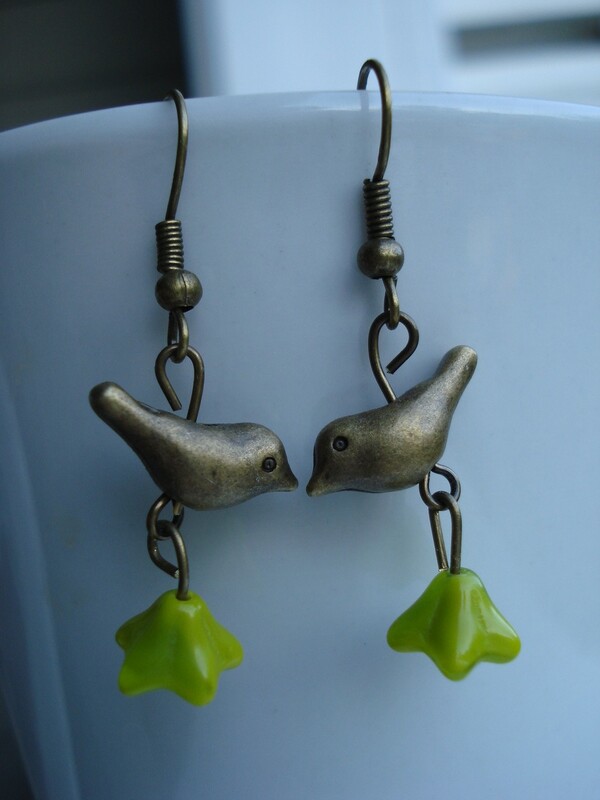 adoring the sweet love birds earrings! Miss Charlotte - A pair of fabric bow shoe clips!!! you know that bows have my heart and that fabric is sooo beautiful! i LOVE her shop!!! I am LOVING that "Hello Fall" necklace! LOVE the Miss Kristina hair clip & brooch! So adorable! I love the Miss Kristina pin!! Would be gorgeous on pretty much anything! anything with a peacock feather and i love it! 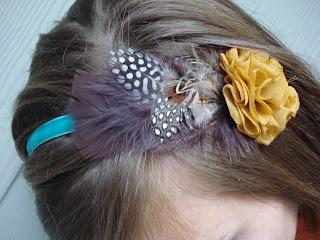 I really really like the Miss Kate peacock feather clip with the purple flower!! i also love the Miss lyndsi necklaces! Especially the aqua and pearl and the turquoise and yellow! wow I LOVE the Hello Fall necklace! but the items she is giving away are just as beautiful! and I tweeted again! Twitter finally let me do it multiple times! The hello fall necklace is wonderful! wow, i love her style! all of the color combos she uses on everything is so cute! i would want ANY of her earrings. OMG the Miss Kristina - Teal Flower Shoe Clips would be perfect for my wedding! the sweet love birds earrings are my favorite! But her whole shop is adorable! I love the penny lane clutch in the vintage floral print! precious! Shoe clips? So genius! Why don't I see them everywhere?! I think my favorite thing is the Pearls and Aqua necklace. So many pretty things though! The Miss Kristina mustard yellow hair clip is my favorite. i love the penelope headband! i adore the colors and the feathers! Miss penelope headband all the way! 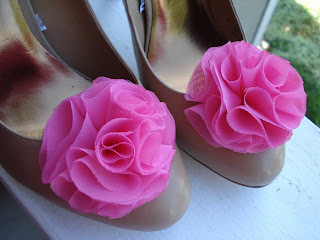 I love the idea of shoe clips and the coral shoe flower shoe clips are so pretty! love the pink shoe clips! I am in LOVE!!! "hello fall" necklace is beautimous! Cute, cute! Love the Penny Lane Floral Clutch! Ohmygoodness! Look at how many people love her stuff! What a talented lady! I personally love the "Sisters pair of chiffon flower hair pins." such cute stuff! WOW! love the flowers and leaves necklace... love it all though, really! oh my. the "sing me a folk song" earrings are right up my alley! The penny lane floral clutch is my fave! so hard to pick a favorite - i love it all. but i LOVE the penelope headband. love the hello fall necklace! Peacock feather hair clip is gorgeous! I adore the Miss Katrina design! Perfect for the current season! *gasp*!! the miss penelope headband is a MUST-HAVE! love that you used the word "whimsical". perfect. i'm IN. LOVE. with those earrings. How do I pick a favorite? I love everything! Me, me, me! I'd love those adorable goodies to come to my house! The hello fall necklace is GREAT! I love the Singing in the Rain necklace! super cute shoe clips, what a brilliant idea. and theyre so super adorable!! I love the Miss Kristina - Fabric Flower Shoe Clips - in the dark blue - they'd go perfectly with my wedding colors!! love the pearls and coral necklace! might have to add that to my christmas list! I like her little "Sew" trinket necklace!